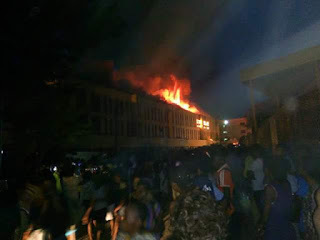 If fainting was a course, then most people would graduate with distinction as the Bakassi hostel at Yaba College of Technology(Yabatech) was engulfed with fire on Wednesday, 23rd November, 2016. 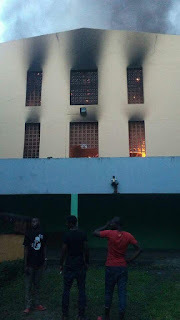 The fire which started around 4am on the fourth and topmost floor of the building, destroyed properties worth thousands of naira. The fire was allegedly, a result of electrical faults, leading to a flashback of Landlord's warning a year ago. In order to regain normalcy the collage suspended all activities till further notice. 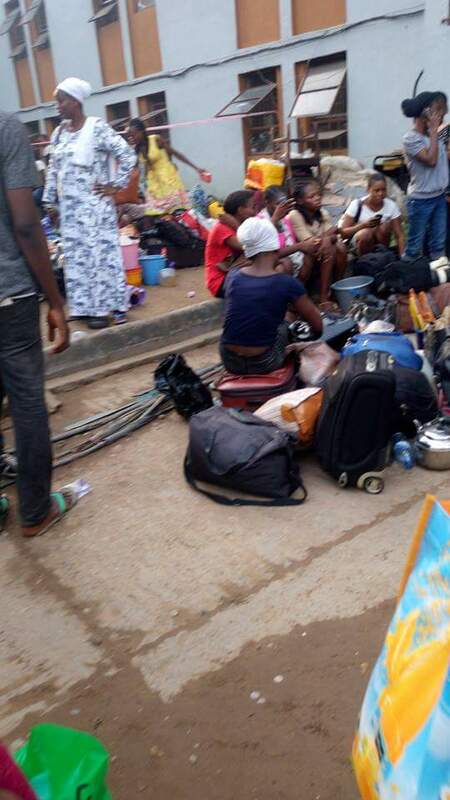 The rector, Dr Kudirat Ladipo, through the PRO Yabatech, Dr. Charles Oni, has called on the College community to remain calm while the Management finds solution to the exigencies. The Deputy Rector ( Admin), Dr. Raheem Taofeek Omobayo, was not left out as he took lead with other staff in guiding students to identify the rescued belongings. 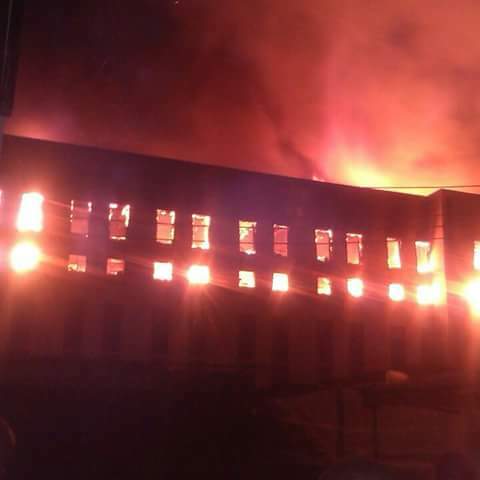 In defence to alleged falsehood broadcast by Channels Television, who was first to respond to the students cry, Dr Oni says, "It is surprising the kind of falsehood broadcast by Channel Television and it's cohorts that there was no water to quench the fire, based on falsity sent to them by some misguided students. The question is, where did the water used to put off the fire come from." This is contrary from a source, which seems answer to the above. "The school's fire service was short of water but were aided by neighbouring Unilag and Lagos State fire services who put off the fire." 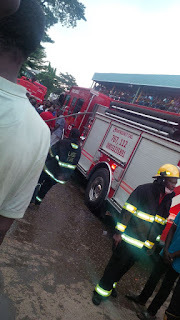 Meanwhile, Dr. Ladipo expressed appreciation to God that no life was lost and that the students suffered only minor injuries, after she visited the affected students at the College Medical Centre and Military Hospital, on Wednesday evening for first hand information on their condition and commiserate with them. 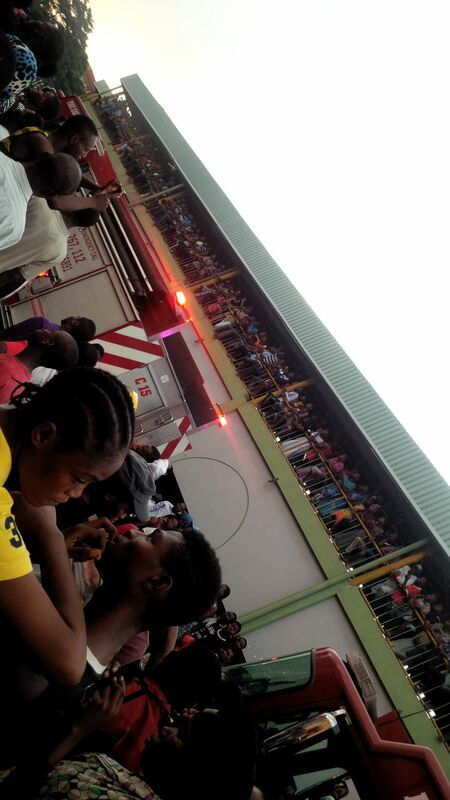 She says, "I was in Abuja but had to scamper back when I was contacted there was fire in one of the hostels". "The College will pay for the treatment so there no hurry to go home or elsewhere. We are in consultation with your parents and they have our assurances that all is well," she said. In addition, the organizers of NASTES 4.0 have decided to combine their next fitness event with fundraising for the 300+ students that were affected by this unfortunate event. 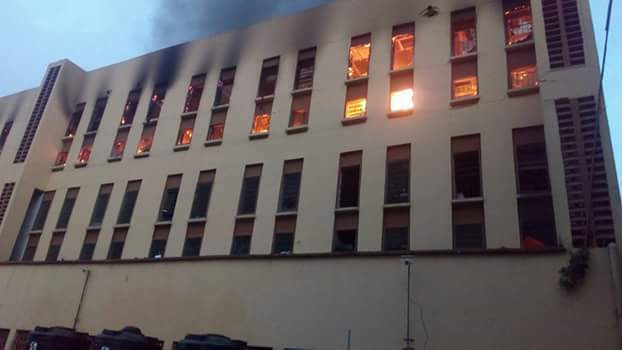 "Due to the unfortunate fire incident that occurred yesterday at Yaba College of Technology, Get fit with NASTES 4.0 would be combined with a fundraiser". "Whatsoever we can do to support this Students pls Let's do it.... clothes, shoes, foodstuffs, cash etc. May God bless us all and may we not experience total loss in any area of our lives." This event will be held at Yaba College of Technology on the 2nd of December, 2016 from 12pm - 3pm.